Photo: Paramount Pictures/Getty Images, Graphic: Jimmy Hasse. 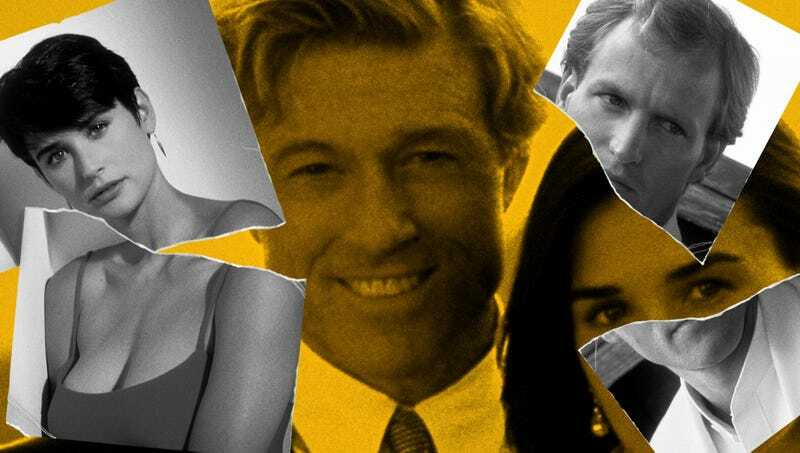 Nevertheless, Indecent Proposal was in the Top 10 of that year’s box office rankings, only behind action movies like Jurassic Park and comedies like Mrs. Doubtfire. The ubiquitousness of the movie soon became a cultural touchstone, not only with the movie’s romantic leads reciting the same horrible five lines of dialogue over and over (“Have I ever told you I loved you?”), but with that titular moral quandary. Today there’s even a series on Investigation Discovery called Indecent Proposal in which people face horrible fork-in-the-road decisions, like a woman considering taking up sexual webcam work to pay for her husband’s heart medication. But there are also a number of TV episodes that used the movie not only as a title (Step By Step’s J.T. almost losing his virginity to a teacher; Bob from Bob’s Burgers renting out his family for $5,000 in “An Indecent Thanksgiving Proposal”), but a punchline or a premise. The central concept of Indecent Proposal even translates to cleaned-up animated fare and a high-school level. Such is the tenacity of Indecent Proposal that we’re sure the below episodes aren’t the last of their kind.